By now, you’ve probably heard that HP has decided to axe the TouchPad tablet and mull the future of WebOS as a licensed operating system. You’ve probably also seen the fire sale that retailers have put on to rid themselves of their mountains of overstocked TouchPads. I’ve been watching with great interest to see where this leads. WebOS isn’t bad by any stretch of the imagination. I’ve used a TouchPad briefly and I was fairly impressed. The basics for a great OS are all there, and the metaphors for things like killing running applications made a little more sense to me than they did in iOS, which is by and large the predominant table OS today (and the most often copied for that matter). I wasn’t all that thrilled about the hardware, though. It felt a bit like one of my daughter’s Fisher Price toys. Plastic, somewhat chunky, and a fingerprint magnet. WebOS felt okay on the hardware, and from what I’ve heard it positively screams on some newer hardware comparable to that found in the iPad or the Galaxy Tab 10.1. 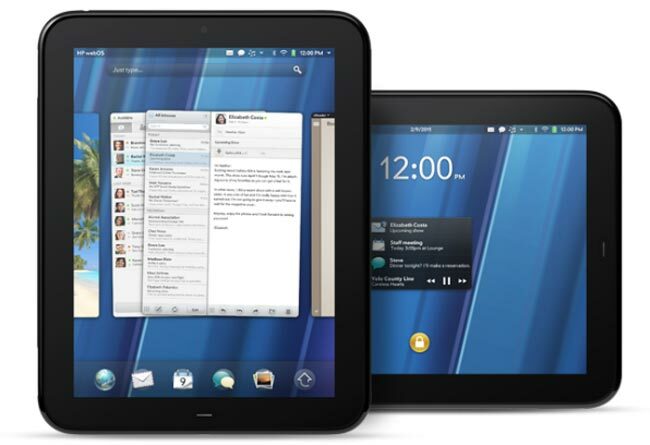 I think WebOS as an alternative to Android will be very helpful in the long run of recovering HP’s investment. Google’s recent acquisition of Motorola is probably making companies like HTC and Samsung a little wary, despite what the press releases might say. Samsung has done a lot with Android in the tablet space, presenting a viable alternative to Apple, or at least as viable as you can get going against that 800-pound gorilla. They’ll be on the good side of Google for a while to come. HTC sells a lot on handsets and has already shown that they’re willing to go with the horse that gives them the best chance in the race. Whether that is Windows Mobile, Android, or someone else depends on which way the wind is blowing on that particular day. If HP can position WebOS attractively to HTC and get them to start loading it on one or two phone models, it might help give HTC some leverage in their negotiations with other vendors. Plus, HP can show that the TouchPad was a fluke from the sales perspective and get some nice numbers behind device adoption. I’m sure that was part of the idea behind the announcement that HP would start preloading WebOS on its PCs and printers (which is probably not going to happen now that HP is shopping their PC business to potential buyers). More numbers mean better terms for licensing contracts and better fluff to put into marketing releases. As for the TouchPad itself, I think it’s going to have a life beyond HP. Due to the large number of them that have been snapped up by savvy buyers, there is a whole ecosystem out there just waiting to be tapped. There’s already a port of Ubuntu. XDA has a bounty of $500 for the first Android port to run on it. With so many devices floating around out there and little to no support from the original manufacturer, firmware hackers are going to have a field day creating new OS loads and shoehorning them into the TouchPad. I don’t think it’s ever going to be enough to unseat the current table champ, but you have to admit that if the TouchPad was even close to being a competitor to the iPad, the fact that it now costs 1/5th of Fruit Company Tablet is a very enticing offer. I doubt my mom or my grandmother is going to run out and snap one up, but someone like me that has no qualms about loading unsupported software might decide to take a chance on it. If nothing else, it might just make a good picture frame. Products have a lifecycle. That’s why we aren’t still buying last year’s widgets. Technology especially seems to have a much shorter lifecycle than anything else, with the possible exception of milk. HP bet big on the TouchPad, but like most of today’s new television shows, when it wasn’t a hit out of the gate it got cancelled in favor of something else. Maybe the combination of WebOS on this particular hardware wasn’t the optimal device. We might see WebOS on printers and pop machines in the next 5 years, who knows? The hardware from the TouchPad itself is going to live on in the hands of people that like building things from nothing keeping dead products breathing for just a little longer. I’d love to see what a TouchPad running Backtrack 5 would be like. With all those shiny new clearanced TouchPads floating around out there, I doubt I’m going to have to wait very long. This entry was posted in HP, Mobile by networkingnerd. Bookmark the permalink.